We’ve welcomed a handful of new business neighbors to Black Mountain this year, including restaurants, a golf shop and one place we can’t wait to check out — White Horse Black Mountain. White Horse Black Mountain is a new music and arts venue in the heart of downtown of Black Mountain, right on the corner of State Street and Montreat Road. The venue can seat up to 250 people, has a state-of-the-art sound and lighting system and a 30-foot barrel ceiling for acoustics. You can also have a drink (they serve wine, beer, coffee and tea) and light snacks while you enjoy live performances. We can tell that the owners, Bob Hinkle and Kim Hughes, are excited and proud of their new venture. We had the pleasure of hearing both Bob and Kim perform at a recent event and they wowed the crowd. They’re both extremely talented singers and you can see that they have a real appreciation for music. 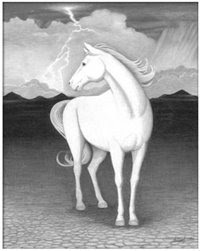 For more information, visit http://www.whitehorseblackmountain.com/.